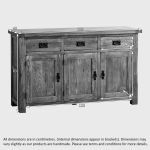 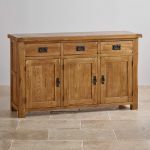 This large rustic sideboard is effortlessly stylish with plentiful storage space and a wonderfully aged finish. 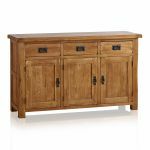 Made from the finest cuts of premium grade solid oak, it's characterised by wooden dowel detailing, softly rounded edges and antiqued drop bar handles. 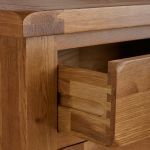 Using a combination of modern and traditional woodworking techniques, our experienced craftsmen ensure a robust and authentic build without using an inch of veneer, chipboard or MDF. 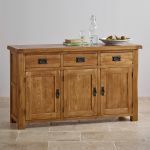 At the top of this rustic sideboard sit three generously-sized drawers made with solid oak linings and traditional dovetail joints for exceptional durability. 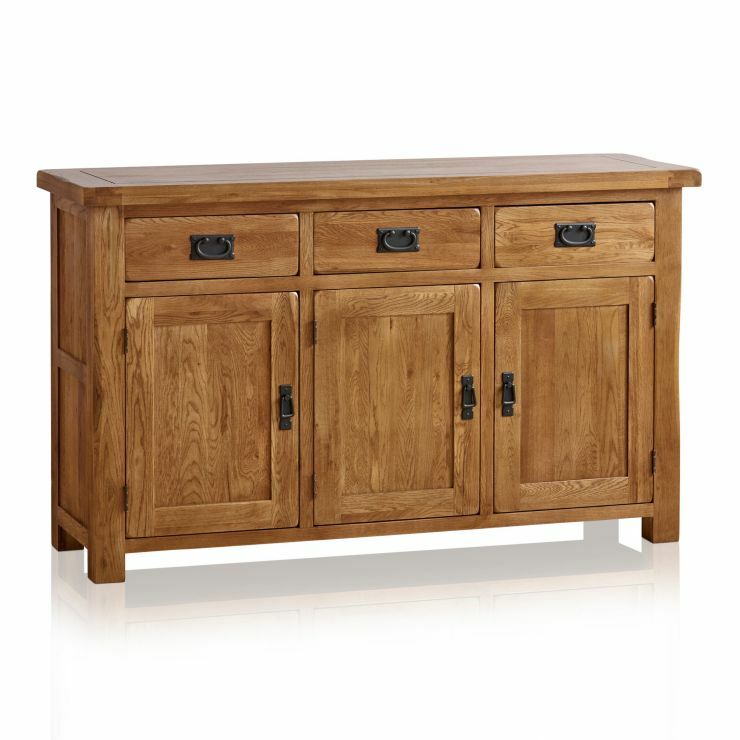 Below the drawers are three cupboard spaces which feature split level storage for the most efficient use of space. 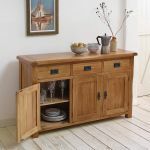 To finish, the sideboard is treated with wax for a warm, subtly aged appearance.